Digital Storm is not a well-known company, but they certainly have some nice products and a great company profile that shows that they could be around for a while. They only showcased one PC this year at the show and they were happy to show off their Black|O.P.S. Elite Standard system. 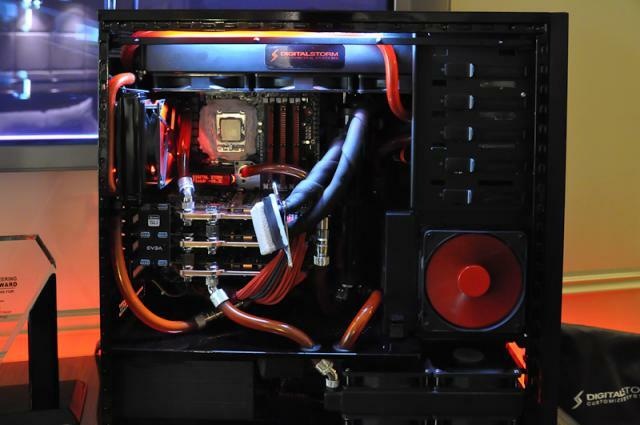 The Black|OPS features a sub-zero Liquid Cooling system and start at $1773. They can be configured all the way up to $9600 for something a little more special. The $10,000 PC includes four-way SLI with NVIDIA GTX 580, 12GB of fast DDR3, a Intel 980X CPU and pretty much everything else you can image. It's pretty amazing what you can buy for the price of a new car. The Black|OPS series features sub-zero cooling thanks to TECs that chill the water and seem to do a great job at it. Without a load, the coolant reaches a chilly -18.4C in the demo. When running it still stays darn cold at about 1C. 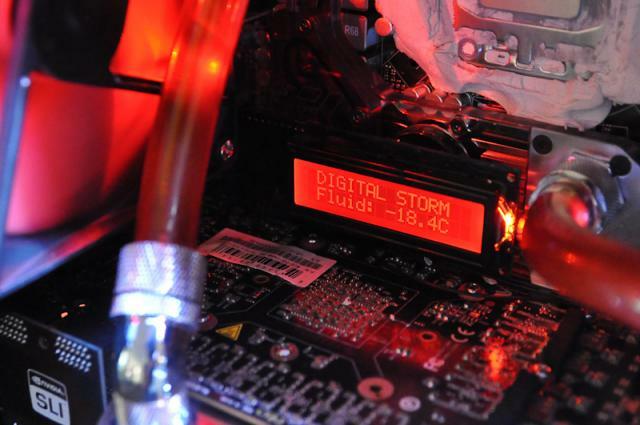 That should provide you with some pretty incredible cooling for a lot of hardware. Make sure you take a look at all of the systems over at Digital Storm as they have gaming desktops starting at $911, gaming laptops starting at $999 and even some workstations for those of you that would rather be working than playing games. Please post a your comments, questions and feedback at the "Comments" link below.